Wm. 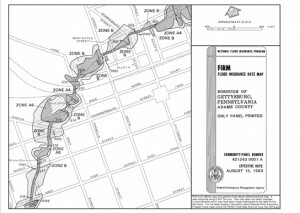 F. Hill and Assoc., Inc. can prepare a Letter of Map Amendment (LOMA) application to the Federal Emergency Management Agency (FEMA) to have all or part of a property removed from the FEMA 100-year Flood Map. This can result in significant insurance savings or increases in net developable areas for properties near regulated waterways. Our office can conduct a site survey, prepare a site specific flood study, and submit this information to FEMA in support of removing all or part of a property from the Hazard Maps. New mapping has been in effect since February 18, 2009. If your rates have changed, we may be able to help.